Change things up with these side-trips from Helsinki: Nuuksio National Park (in Espoo), Kotka (Linden Esplanade & Riverside Park) and Runeberg Park (in Porvoo). 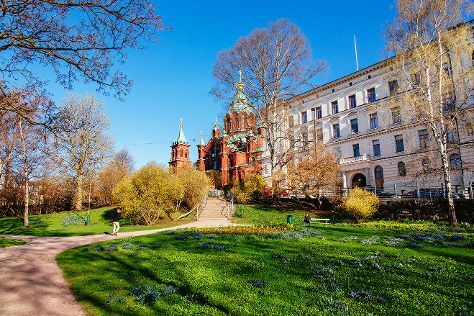 The adventure continues: wander the streets of Katajanokka, take in the spiritual surroundings of Rock Church, deepen your knowledge of military history at Sea Fortress Suomenlinna, and don't miss a visit to Senate Square. To find where to stay, maps, more things to do, and tourist information, go to the Helsinki online journey planner . If you are flying in from Poland, the closest major airport is Helsinki Vantaa Airport. In June, plan for daily highs up to 21°C, and evening lows to 11°C. Finish your sightseeing early on the 7th (Fri) to allow enough time to travel back home.